Hope for Tomorrow, Inc., a non-profit corporation organized exclusively for the charitable and educational purposes, seeks to increase familiarity of the English language among the people of Central America through support of schools established for bilingual education, adult education programs, libraries for the public, other non-profit organizations that support bilingual education, and similar means. Some children attending bilingual schools in Honduras live in indigenous villages in houses made of sticks and mud. Maria Isabel, the young second grader shown on the left of this picture attends only by the good fortune that a North American woman has provided her tuition and book fees. Other persons have donated her uniform , shoes, socks, pencils and paper. Her family owns nothing but what you see. By the time she finishes school Maria Isabel will be qualified to work in a hotel interacting with English-speaking guests or as a tour guide or, perhaps, even enter the university. The demand for bilingual education in Central America is growing. In one community the enrollment in the only bilingual school has risen by 20%-30% per year for the last few years. The current enrollment in Grades 1 through 6 is about 10% of the eligible population. This strains financial resources to find scholarships for the growing number of students seeking bilingual education, and growth also generates the need for new classroom and laboratory space. Therefore, these institutions need financial support for new classroom construction as well as for student scholarships. Central America: Belize, Guatemala, Honduras, El Salvador, Nicaragua, Coast Rica, and Panama, is the poorest region in this hemisphere. 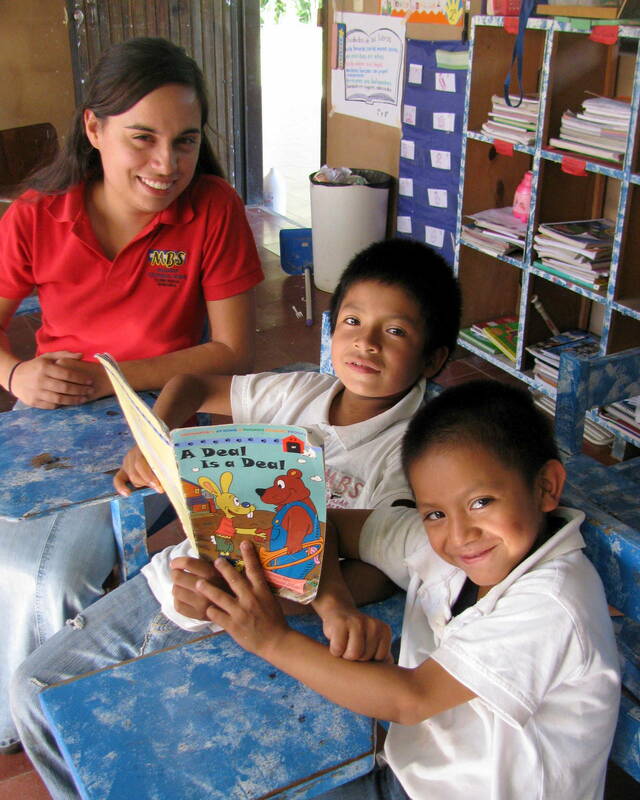 HOPE FOR TOMORROW, Inc. has chosen Central America as it focus for help so that the people can help their communities, their countries and the region interact more fully in a world in which English is the common language. Since Central America is blessed these days with a growing tourist industry, knowledge of English can help young people participate in this important sector while making the visits more pleasant for the tourists themselves. When two scholarship opportunities became available, including the one that Maria Isabel received, the director of the school consulted an organization concerned with improving conditions for indigenous people in the vicinity called, Chortí. The organization chose a village where the people had great need but which was still within walking distance of the school (2 ½ miles). The members of the village met and decided which children should attend. The teacher of the local public school confirmed the children had a good attitude toward education and were good students. Maria Isabel was in Second Grade in the public school. She needed to move back to First Grade in the bilingual school be on the same learning level as her classmates. At the end of the first half school year her English was sufficient and her learning ability great enough that she was advanced again into the Second Grade. We hope her supporter shall continue throughout Maria Isabel’s years at school. The school shall support the local population – not displaced Americans or Europeans. The school must enroll a significant number of the very poor. The school shall conduct at least half its class hours in English. HOPE FOR TOMORROW must be able to verify that its financial support was used for its intended purpose. If the school you wish to support meets these criteria, then HOPE FOR TOMORROW, after confirmation, shall endeavor to meet your specified wishes. A year in Primary School typically costs just under $1,000 for registration, books, and tuition. Secondary School is higher, and Pre-School is Less. A new classroom might cost $6,500; a laboratory, twice that. Any gift helps achieve these goals. Please give what you can to support students with their tuition and classrooms.